Enjoying the most out of your retirement is something that the Pilkington Family Trust promotes through encouraging and creating opportunities for active leisure. This is done in a variety of ways, including those highlighted here. 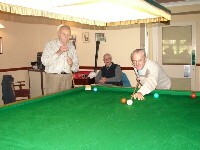 In many cases active leisure opportunities have been created by retired people themselves and this has established Social Groups.